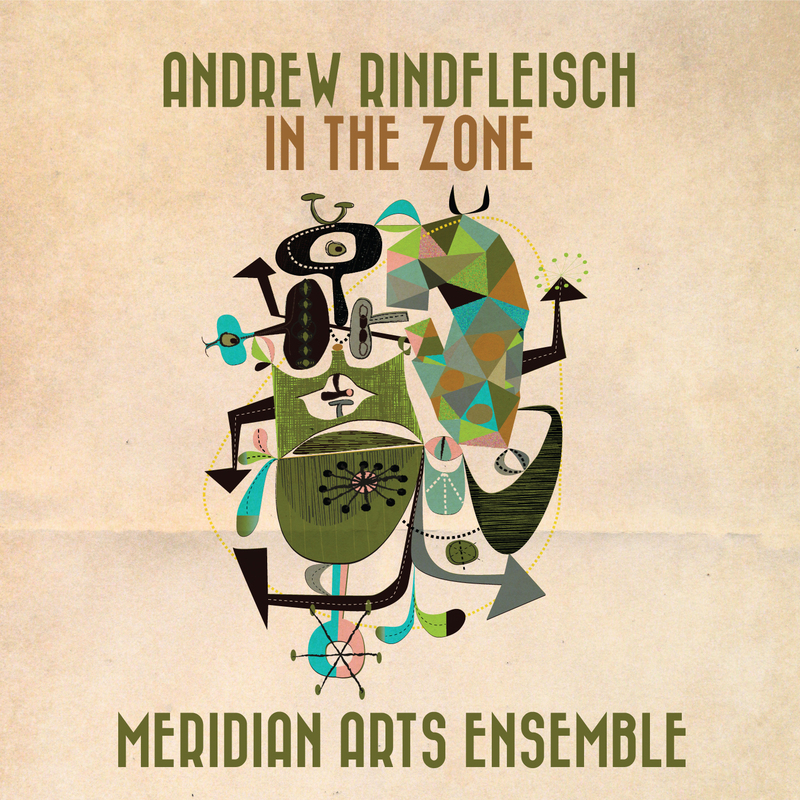 As befits both the Meridian Arts Ensemble and composer Andrew Rindfleisch, their collaboration on In The Zone doesn’t so much blend the tradition of the brass quintet with modern tonal and harmonic ideas as send them crashing headlong into each other, making for a glorious collision that both reimagines and renews our conception of brass chamber music. The title track, "In the Zone,” grows out of Rindfleisch’s almost obsessive fondness for the Renaissance "Canzone" and all of its trappings: polyphony, counterpoint, and imitation. Here though, the Renaissance backdrop is amped up and super-charged for a virtuoso band of brass. With a nod to the past, it is a tour de force for the modern brass quintet. A set of virtuoso brass fanfares also follows, from the serious to the humorous, ending with "A Little Fanfare Music (by Lady MacBeth)," an absurdist parody of the historical fanfare itself. As hornist Daniel Grabois puts it: "As an example of mockery disguised as pomp, this piece cannot be beat." Another side of composer Rindfleisch is revealed with his elegant, reverent, and ingenious brass arrangements of late 19th/early 20th century songs. These "Four Vintage Songs" showcase the brass quintet, and each player within it, highlighting the easy, elegant, and beautiful nature of brass playing. Rindfleisch and the Meridians conclude their collaboration with a beautifully strange and unusual arrangement of the 19th Century American hymn "Abide with Me." Throughout, the music here blends a feeling of familiarity with a challenge to make the old things new again, and “Abide with Me” makes a fitting conclusion. -Sacramento Bee 11/9/09, Review of the Meridian Arts Ensemble performing "In the Zone"